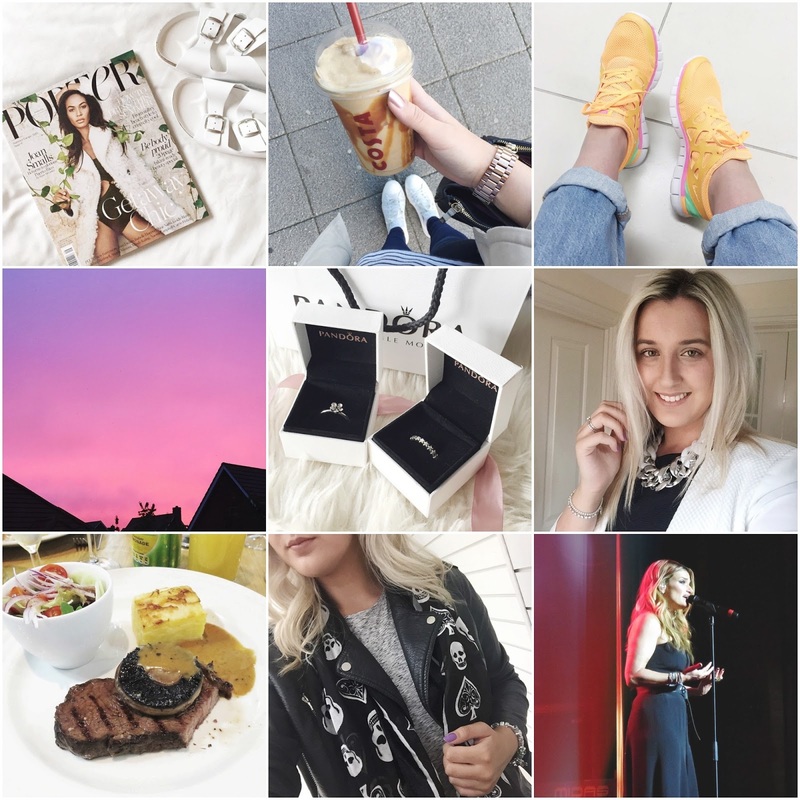 Here's a little roundup of the past few weeks over on my instagram and if you aren't following me already (you should here) then you too can get a glimpse into my daily life! It was actually my birthday at the weekend and I had a double whammy present of going to the races/seeing Kylie Minogue live (full post here) and going to see Idina Menzel, who was absolutely incredible and exceeded all expectations I had. That took up the bulk of the weekend/this week on instagram but in-between I drank a lot of caramel latte coolers, watched a couple of beautiful sunsets from my bedroom window and wore some of my favourite accessories - I'm looking at you neon trainers and Alexander McQueen inspired scarf. Don't forget to following my isnatgram @iamemmawilde to see all of my daily snaps and let me know if you like this type of post!